The murder of RSS leader Chandrakant Sharma and his bodyguard in Jammu - HailNewsUp.com provides latest news from India and the world. 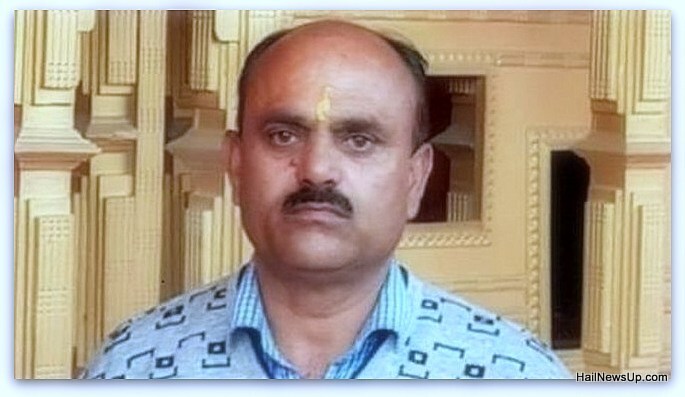 A leader of Rashtriya Swayamsevak Sangh and his bodyguard were shot dead in a hospital in Kishtwar in Jammu on Tuesday. According to police, armed men attacked both of them outside the main gate of the district hospital. Security personnel died on the spot, while RSS leader Chandrakant Sharma was taken to Jammu Medical College, where he died. Chandrakant was a pharmacist in Kishtwar district hospital. After the incident, the demonstration started in the area and considering the tension, the order of the District Magistrate has imposed curfew in Kishtwar. In the sensitive areas, the army marched the flag. Talking to the BBC, the District Magistrate, British Singh Rana said, "Curfew has been imposed in view of the law and order in Kishtwar and surrounding areas." In Jammu, BJP spokesperson Paritosh Seth said that Chandrakant was senior RSS leader and was active in Kishtwar for the past 30 years. Seth said that there were two attacks on the Chandrakal before, but this time he was seriously injured due to bullet injury and he died. In November 2018, a senior BJP leader Anil Parihar and his brother Ajit Parihar were shot dead. They were returning home from their shop in Kishtwar, at that time unknown people attacked. Kishtwar district comes in Udhampur parliamentary area, from where the Minister of State in PMO Dr. Jitendra Singh is contesting on the ticket of BJP.